Five squares are given. Each square contains a pattern of squares or triangles that become smaller and smaller until they are infinitely small. 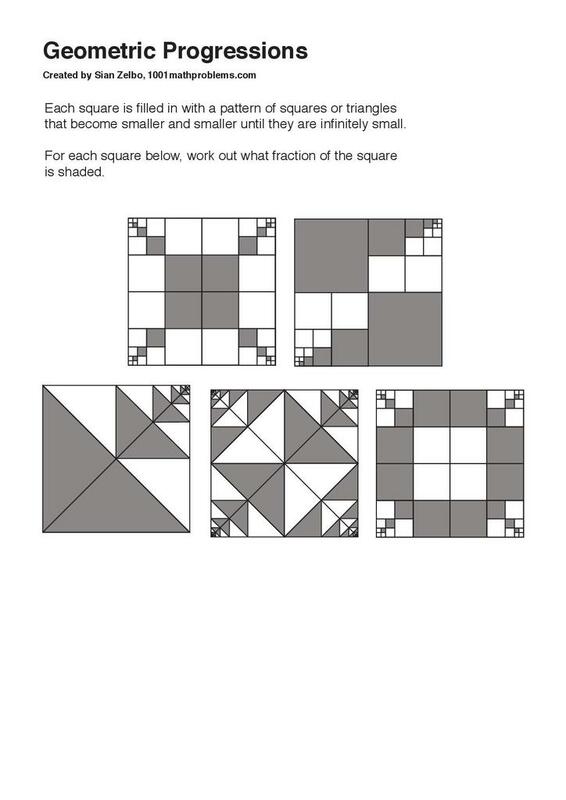 The challenge is to work out what fraction of each square is shaded. 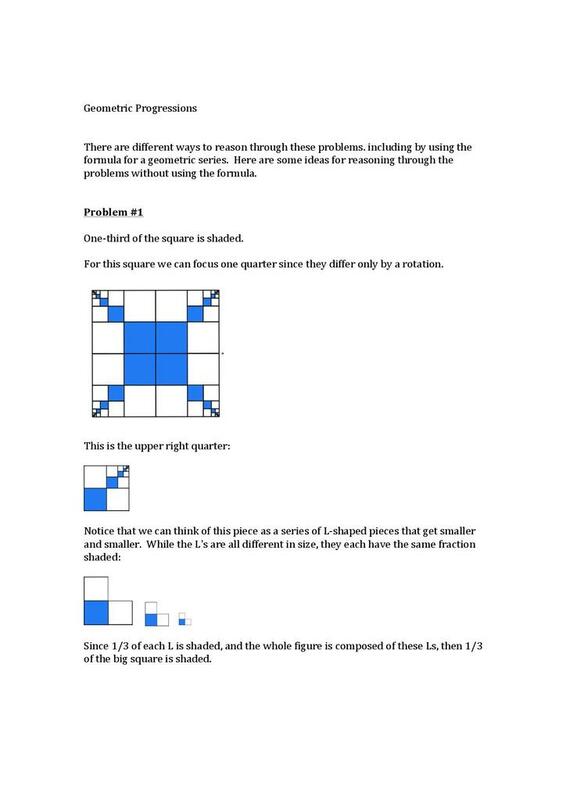 The challenge provides an introduction to the concept of geometric progressions and the idea of a limit to a sequence. The resource is suitable for Key Stage 3.